Google Translate is useful, but you need an Internet connection to translate some text. Google's servers process your request, so language models are always up-to-date, you can translate long texts instantly and you don't need to download huge databases. Unfortunately, Google Translate is especially useful when you visit foreign countries and you may want to avoid the high data roaming fees. 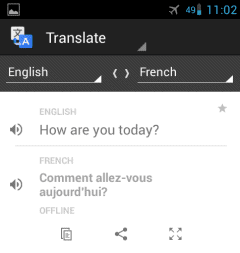 Now you can use Google Translate offline if you have an Android device. Just install the latest version of the Google Translate for Android and you can download the core translation files for more than 50 languages. If you've already installed the application, you need to manually update it. The compressed language files have about 150MB (200MB after extracting the files from the archive) and are stored on your SD card if your Android device has one. 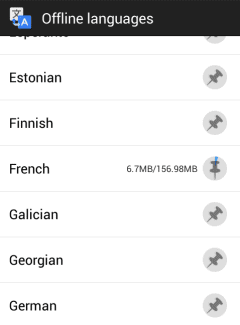 "You can select [Offline Languages] in the app menu to see all the offline language packages available for download. To enable offline translation between any two languages, you just need to select them in the offline languages menu. Once the packages are downloaded, you're good to go," informs Google. The application works well offline, but you may need to wait a few seconds if you want to translate long texts. 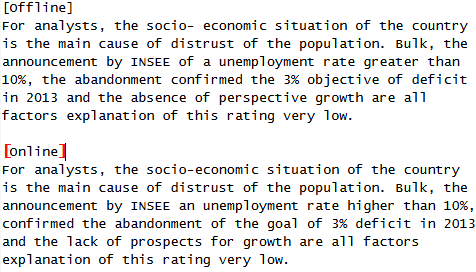 Offline translations are less accurate since Google lets you download some simplified language models. Also download the offline Google speech recognition package and you are all set for your next travel! Correction: "offline and offline" translations are being compared. I am trying to download German offline translation on my S3. Everytime it completes the download 100% and says download failed. Anybody got any ideas why?! It works fine for me. It may have something to do with proxies (if you're using one), security software (do you use antivirus software?) or your Internet connection. Another issue could be your SD card: maybe there's not enough space or there are other problems. Remove some files from the SD card or try a different one. Some people solved this issue by clearing the data for Download Manager in the application settings. I get the same error for Spanish - successfully download at least about 4 times - failed to install each time. Installed russian after that without a problem. Don't think it is the SD card. Some initial fails would have been due failed/slow internet. Last 4 times successfully downloaded on fast internet but went to 'download failed' immediately once download completed. 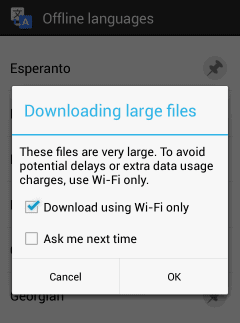 I have an s3 and I have tried downloading the Spanish offline several times without success. I cannot download any offline packages. Says it cannot read the sd card. Sd card is working fine.